You might remember I went off in search of beauty sleep a few months back And guess what? I've finally got rid of my ancient bed (which was honestly about 25 years old!) 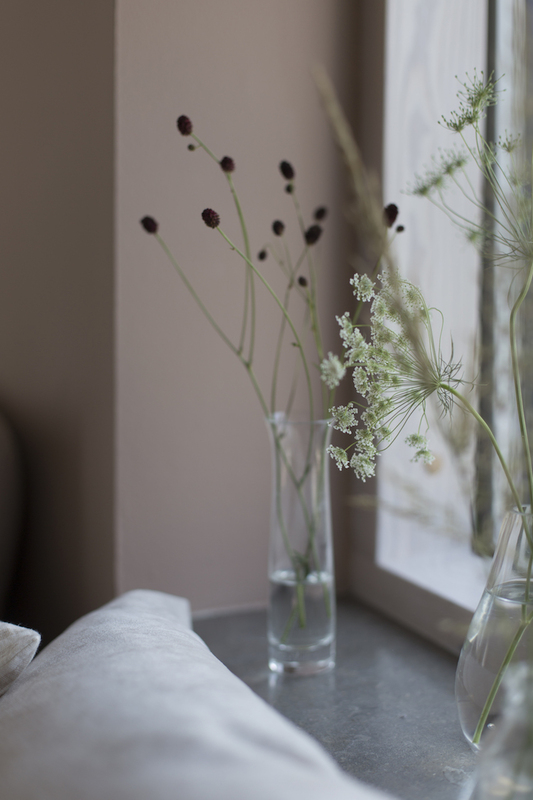 and in it's place is Sandö bed from the wonderful Swedish brand Carpe Diem Beds. If you haven't seen me for a while it's because I can't get up in the morning. Ha! Just kidding. But every night I do feel like I'm sleeping on a big, fluffy cloud! Bliss! Due to the low window, I don't have room for a headboard (a little annoying! ), so I opted for headboard cushions in soft Zaragoza Eggshell in sand to match the upholstery. My husband was slightly sceptical (he placed a ban on me buying any new cushions several years ago!! ), but even he approves of these - they make for an uber comfy bedtime read! I'm so pleased with how the sand colour goes with my Blushing Peach wall too, these things are important for a design lover, right?! 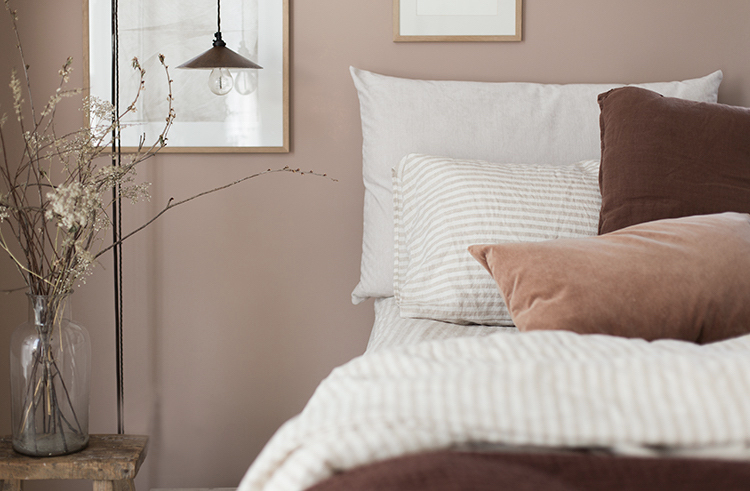 The other thing I love about my bed is that it's named after an island in the Gothenburg archipelago (my heartland - not just because it outstandingly beautiful - it's also where Per and I met!). And what makes it so comfortable are its three unique interacting spring systems that raise your sleep and the Contour Pocket System which was inspired by the heather on the islands and designed to ensure every inch of your body's supported. I chose oak legs to bring a natural touch to the space - the beauty is in the detail, after all! If you're looking for me, I'll be right here sleeping like a star fish! 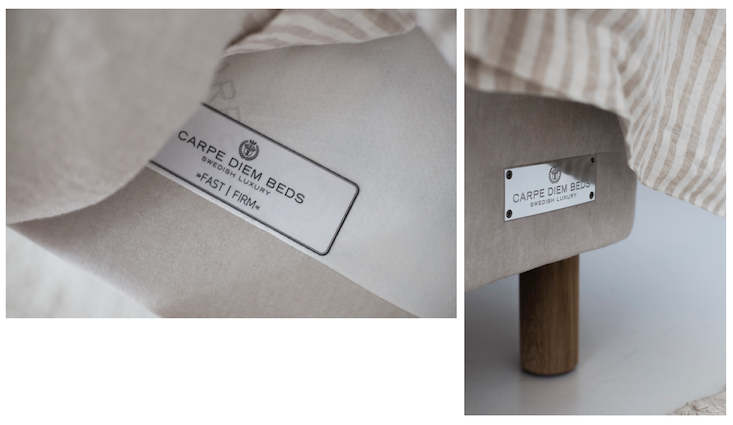 PS In case you're also in search of a blissful night's sleep, Carpe Diem Beds are available in over twenty countries. You can find your nearest retailer here. I am a very proud ambassador for Carpe Diem Beds who sponsored this post. As always, all words are my own and I only ever work with brands I love and think you will too. 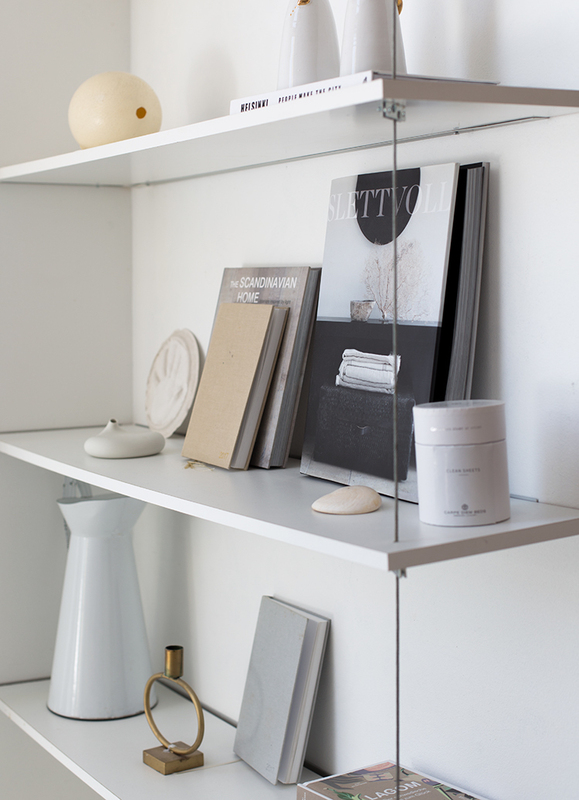 Thank you for supporting the brands that make My Scandinavian Home possible.